I want to make a bet with you. I want to bet that there are things in your life right now that you haven’t achieved, but would like to. I want to bet further that I know where these things not yet achieved, let’s call them aspirations, live. They live in a place just beyond where you think you want to go. Not a place you can’t go…a place you think you won’t. Over the course of your life you have built up an area, both tangible and intangible, of security. This is most commonly known as your comfort zone. You probably don’t realize it, but this area is the basis of your life. It’s how you define who and what you are. It includes your sense of self, your family, your job, your home, your friends, your pets, etc. All these things provide a sense of comfort because they are all known. They are familiar. And what is known is much less scary than what is unknown. Within this space you are safe, you are confident. This is important! It is critical actually because it’s often from this space of safety that we gain the confidence to imagine for ourselves towards what could be. Still, despite the comfort zone’s necessary function, it will shift from a place of safe reference to a place of refuge if you’re not careful. But refuge isn’t a bad thing, right? Neither is water, yet drowning is real. We can also drown in comfort. We can sink so deep that we forget how to swim. This stagnancy, this is the danger of the comfort zone. 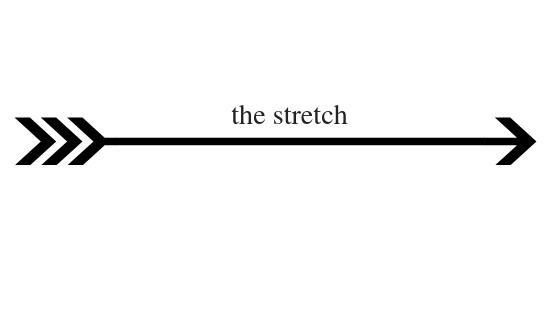 Without stretch, a deliberate choice to step outside your comfort zone, you’re stagnant. There are few things that I’m sure about in life… No, I’m not a pessimist, I’ve just seen too much to think I know anything for certain. Nevertheless, I do believe in the 100% correlation between discomfort and growth. There is a moment when you decide to do something even if you don’t know if that thing will work. You feel fear. Fear is important in the stretch because it tells you that you’ve broken through the comfort zone barrier. Here you must keep going. But the stretch without aspirations is merely exhausting. What are we stretching towards? 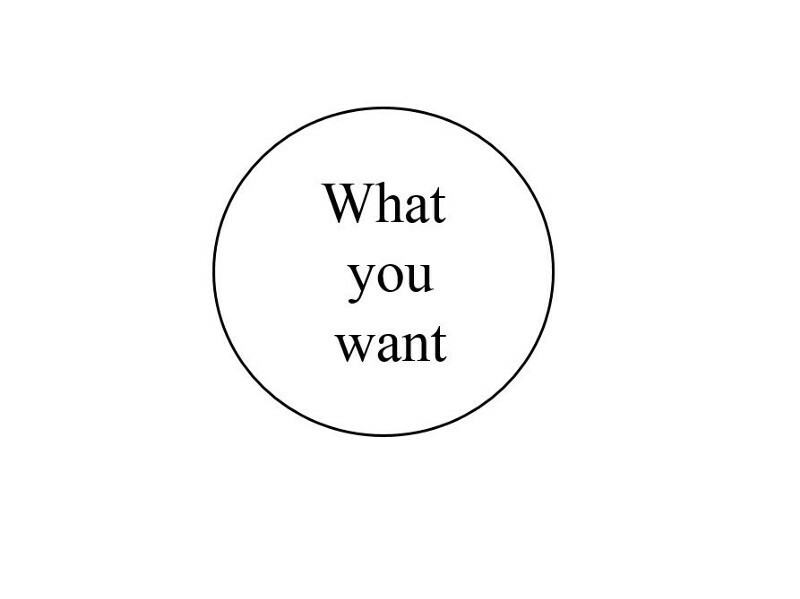 Every single person on Earth has something they want which they don’t currently have. Be it material or immaterial, love or seclusion, big or small, everyone is struggling with something. We are unified in this truth. 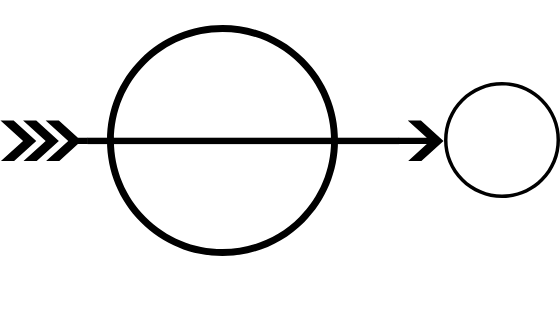 So, the smaller circle is the discomfort zone. To be more clear, it’s what you want (for more on defining your goals, see some of the links at the bottom). But the only way you’ll get there is to stretch. And the only way to stretch is to make yourself uncomfortable. 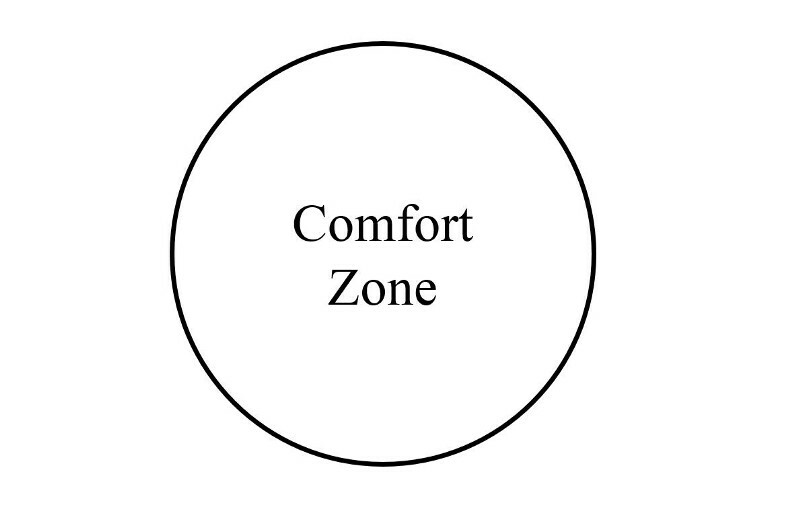 The discomfort zone is smaller on purpose because it will be incorporated into your comfort zone, which itself will expand. 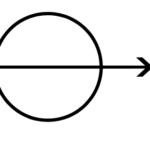 Hence the arrow as the symbol of the stretch. It is a continuous cycle of movement whereby your comfort zone is constantly redefined to incorporate the newly acquired content of your discomfort zone. And don’t forget, there is always a discomfort zone to find. Bottom line, we need our comfort zone. Without it, we would lose our point of reference. Maybe there are those out there who have broken free of such definitions as comfort and discomfort zone? Maybe they’ve reached some nirvana where it no longer matters? As for me, I believe what you want is living just outside of your comfort zone. And if we stretch, little or big (up to you), in strategic ways, we can become all the things we aspire to be. Jake is lover of magical realism, languages, and Black Forest cake. An international business career has taken him from the United States to Germany, where he currently resides. Soon, he will be moving to South Korea where the next adventure awaits!